Saw Palmetto comes from the fruit of the plant Serenoa repens and is supplemented to optimize prostate health and improve urinary function. Onlinestrength analyzed 19 best-selling Saw Palmetto supplements in the United States, measuring total amount Saw Palmetto and recorded presence/absence of fatty acids and sterols. The tested products recorded minor dosage inefficiencies for fatty acid concentration, ranging from 5 – 10 % off of the 85% to 95% standard, with the average product containing 85% total fatty acids. Products that contained preservatives or any unnecessary ingredients were penalized according. Products that were above average but had capsules sourced from gelatin were ranked lower than the products that use plant-based capsules. 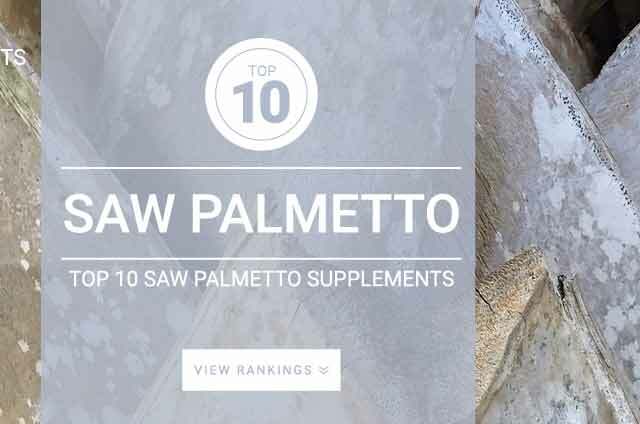 The best saw palmetto products were ranked based on a very strict review methodology and were placed there only after heavy deliberation. Saw palmetto is a type of palm tree, also known as the dwarf palm, which mainly grows in the United States. The fruit that grows on the serenoa repens palm tree is taken through a supercritical C02 extraction process and is used for most dietary supplements. With over 65 research studies conducted Saw Palmetto supplementation is pointed toward its effectiveness in supporting prostate health, slowing down Benign Prostatic Hyperplasia (Prostate Enlargement), preventing Prostatitis (Prostate Infection), and potentially preventing hair loss. Saw palmetto is essentially nontoxic and is accepted as medical treatment for benign prostatic hyperplasia (BPH) in Germany, Italy, and other European countries. There is a very limited amount of research regarding testosterone increases with saw palmetto and shouldn’t be used for boosting testosterone. Saw palmetto plays a role in optimizing hormonal activity and should not be used by pregnant or lactating women. Standard dosage of saw palmetto is 160 mg twice a day for a total of 320 mg of an extract standardized to contain 85% to 95% fatty acids and sterols. Since saw palmetto contains mostly fatty acids supplementation may be best with food although not required.